Salty, sweet, lightly spiced and crunchy, this super quick Caramel Pumpkin Spice Popcorn is sure to become your new favorite movie buddy! I’m not the best person when it comes to Halloween decorations or crafts in general. Growing up in Italy, I didn’t know what was like celebrating Halloween until I moved to UK. So I know I’ve been missing a lot of fun, but I’m ready to make up for it! This year I’m planning a marathon of scary Halloween movies with a bunch of friends, and I’m pretty sure this caramel pumpkin spice popcorn will be the highlight of the night. 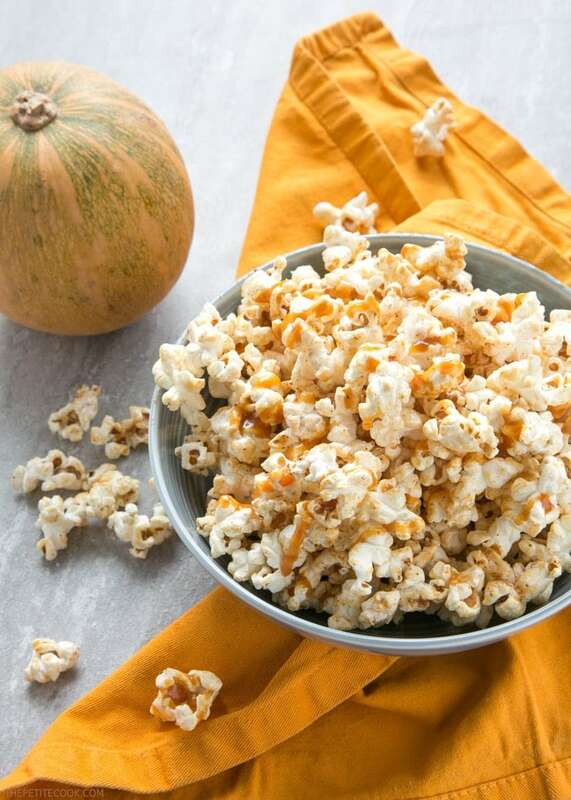 If you’re not a crafty person, but looking for a quick Halloween snack that’s sweet and crunchy, a little bit salty, and almost impossible to stop eating it, caramel popcorn is the answer. 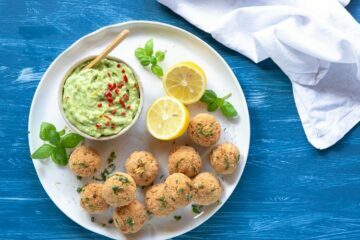 Incredibly easy to make (and no craft or decorations involved), this popcorn recipe comes together in just 10 mins. All you need is basically 3 simple ingredients: sweetcorn kernels, pumpkin spice mix and my go-to salted caramel sauce. 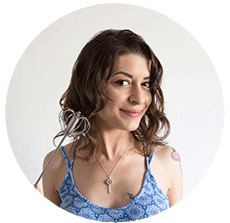 I’m pretty sure you’ve made popcorn before, but just in case here is a small recap. 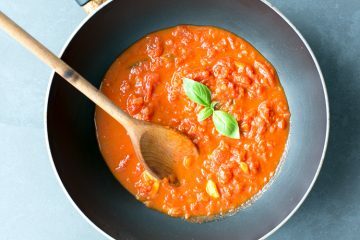 You don’t need any special equipment, a simple large pot, a glug of vegetable oil and you’re good to go. Once your popcorn are ready, transfer into a large bowl and mix in the remaining ingredients. Et-voilà! Before you know it, you’ll be sitting on your sofa watching your favorite movie with a crunchy sweet companion at hand. 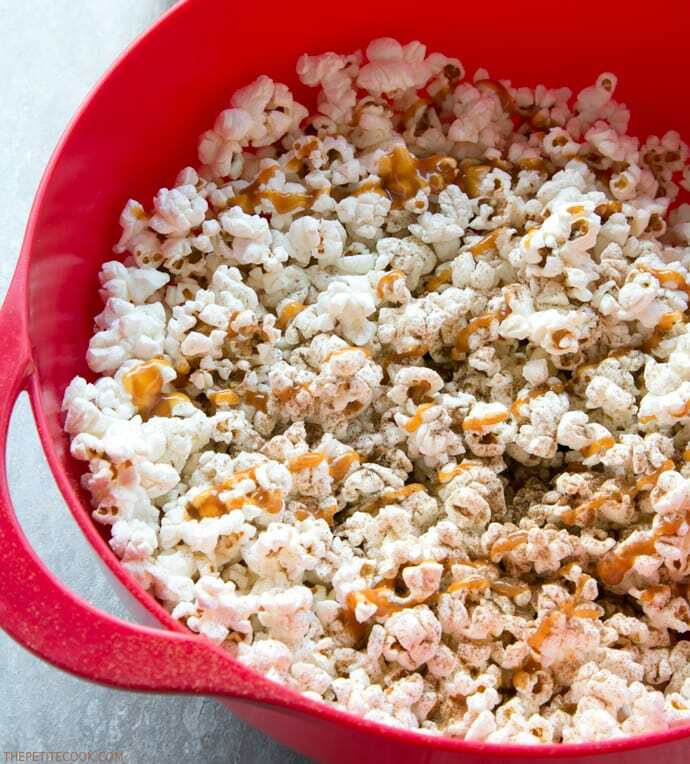 This is a super quick *and quite sticky* version of classic caramel popcorn, and it’s best eaten straight away other-ways they get soft and soggy. If you mind sticky hands (I definitely don’t), or want to enjoy these the next day, I suggest you to add more caramel sauce when mixing, then spread the popcorn on one layer over a baking sheet covered with parchment paper. Bake for 1 hour, stirring every 15 min, then allow to cool and break any lumps with your fingers. This way the popcorn will stay extra-crunchy for a few days, just make sure to store in an airtight container. 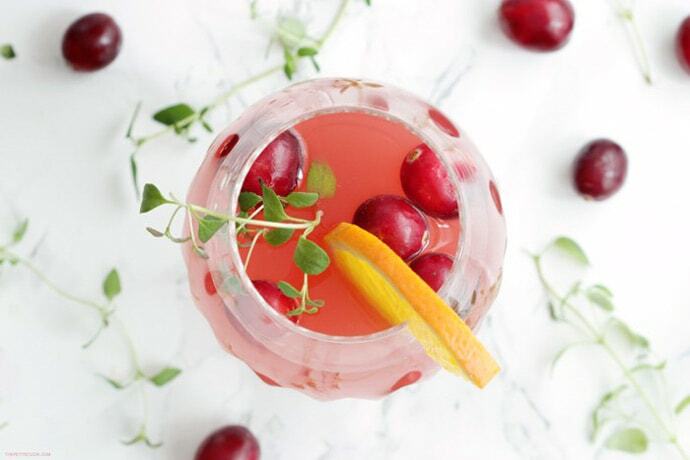 I love to pair this caramel pumpkin spice popcorn with a glass of mulled wine, but if it’s not for you, why not give this delicious cranberry and orange vodka cocktail a try? 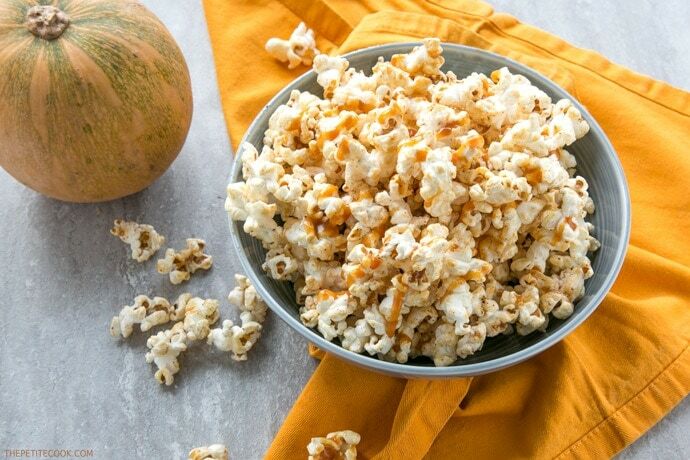 Get ready for a spooky Halloween movie night with the perfect sofa snack – Sweet, salty, spicy and crunchy, Caramel Pumpkin Spice Popcorn has it all! Brush a large heavy-bottomed high pot with oil and heat over medium-low heat. Add a couple of kernels, when at least one pops, add the remaining kernels. Cover with a lid and shake the pan to prevent kernels from burning. Continue to shake until most kernels have popped and you can't hear more kernels moving at the bottom. Transfer into a large bowl, add brown sugar, sea salt and pumpkin spice and mix well through. 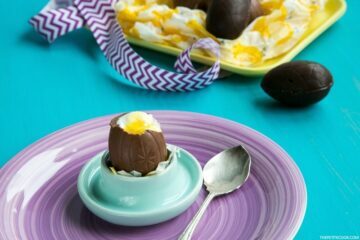 Drizzle with salted caramel sauce and mix until all combined. I will have to serve this at my Halloween party next week. There will surely be loads of sticky hands, but they taste SO good!